June 16, 2015 – On Saturday, May 16, 28 leaders from six local grassroots and nonprofit organizations celebrated their completion of The Leadership Classroom (TLC), an initiative of the Central New York Community Foundation. After participating in monthly training sessions, each group receives a $3,500 grant to implement a community project that is proposed and planned during their training. Participants from the Historic Hawley-Green Task Force entered the program seeking ways to enhance partnerships with other agencies in the community and learn more about grant writing. Team leader Frank Schiraldi is hopeful that the contacts that he made during the course and the knowledge he gained will last a lifetime. The Historic Hawley-Green Task Force plans to use its grant to stage a tour of seven historic and restored homes in the Hawley-Green District to build neighborhood pride and showcase the neighborhood. Karing Kitchen of Oneida Board is a soup kitchen that serves hot meals to residents of Oneida and neighboring areas who may otherwise not have access to food. Karing Kitchen leaders believe that food security is a means to achieving change, advocacy, and support for communities in need. Karing Kitchen will use its funding to conduct a summer food and activities program for families that culminates in a community event to connect, socialize and have fun. LIGHT of Syracuse provides services to youth and elderly residents in distressed and lower income neighborhoods of Syracuse and surrounding communities. As a recently establish nonprofit organization, Light of Syracuse plans to utilize its grant to host the inaugural Eastside Community Festival, an event that will introduce this new organization to the community, bring resources and information to residents and celebrate the neighborhood and its people. North Side Learning Center, located in the Northside neighborhood of Syracuse, provides English Language instruction to refugees and immigrants. The Center strives to support community integration by providing academic support to the children of refugees and immigrants and fostering leadership development. The Center plans to invigorate a library for use in teaching refugee youth and adults how to read, improve in school, and use the computer. Pretty Girls Rock Foundation is a mentoring program that provides mentoring services to young girls and connects its mentees with other services and opportunities in East Syracuse. It makes these connections possible through networking opportunities with community businesses and skilled community leaders, and by fostering friendships between the mentees. PGR will use the funding to grow the research, journaling, literacy and photography skills of its members in creating and producing the program’s first yearbook, which will be distributed at the annual gala. Yeshua Restoration Ministries (YRM) supports the vitality of its community through community advocacy, youth development, support groups, and a housing program. The organization works to understand the needs of its community so it may address them. YRM will utilize its grant to conduct a branding campaign, which will include printing t-shirts to be used during its community service projects, producing brochures and utilizing social media. 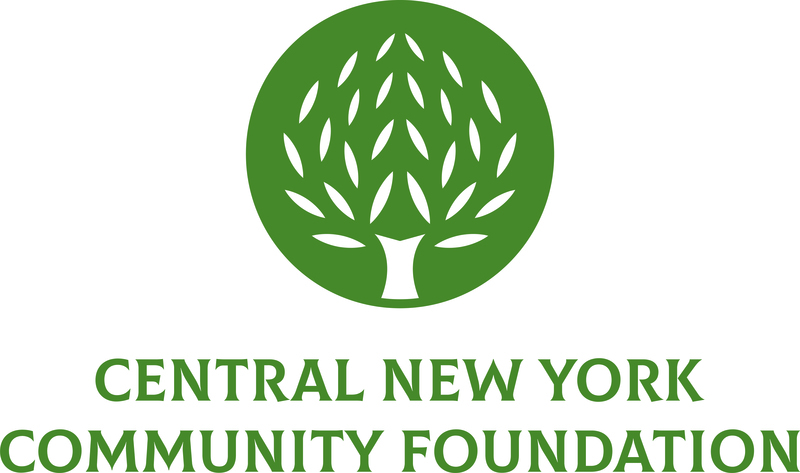 Established in 1927, the Central New York Community Foundation encourages local philanthropy by supporting the growth of permanent charitable endowments for the betterment of the region. The Community Foundation is the largest charitable foundation in the region with assets of more than $172 million. It awarded $9.5 million in grants last year to nonprofit organizations and since its inception has invested nearly $130 million in the community. The Community Foundation serves as the steward of charitable legacies for individuals, families and businesses through the administration of nearly 650 funds. The organization also serves as a civic leader, convener and sponsor of special initiatives designed to strengthen local nonprofits and address the region’s most pressing challenges. For more information, visit www.cnycf.org.